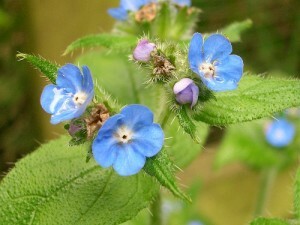 Used For: All cases of alkanet application are commonly classified into two categories: those being connected with respiratory problems (due to the plant’s expectorative ability), and those being linked with skin diseases and irritations (the plant is used to fight inflammations). However, alkanet’s expectorative effects have not been properly studied yet, and needs more evidence to be proven. Its ability to act positively on skin diseases should be investigated, as well. Additional Info: The plant leaves for a period of two years. Its appearance is characterized by rough leaves and scapes, covered with fuzz. It commonly reaches 2 feet on average. Waste grounds and the sides of the road are considered its usual growing places. The period of its blossoming lasts from spring to autumn and is characterized by the appearance of blue flowers. Safety: When applied internally for a long-lasting period the herb is potent to induce cancer.